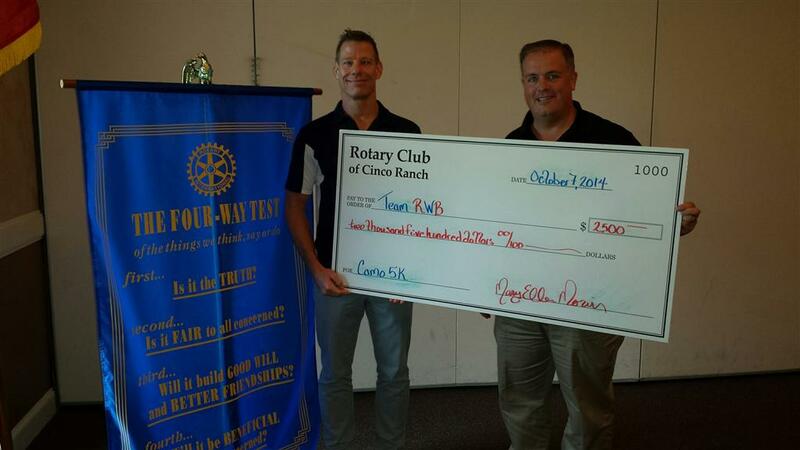 Cinco Ranch Rotary Club President James Tomberlin presents a check to Dean Bradley with Team RWB on Tuesday, October 7th. The check is from proceeds of the Camo 5K event held in May. Team RWB has been a big supporter of the Camo 5K.